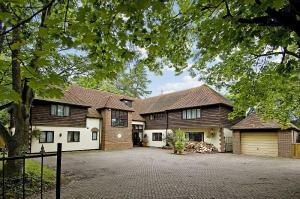 The Grange is an elegant detached house, fully renovated 5 years ago and set in beautiful gardens. It is located in a prestigious area, on the leafy and peaceful Sleepers Hill, a short walk from the city centre (20 minutes). For the less walk-inclined, there is a great bus service that runs every 10 minutes and is 2 stops from the High Street. The city has many historic attractions including the cathedral and famous Round Table of King Arthur. Amid wooded landscaped gardens, this is an ideal base for exploring England's South Coast, with a 13-metre indoor swimming pool, health club and ? la carte restaurant. 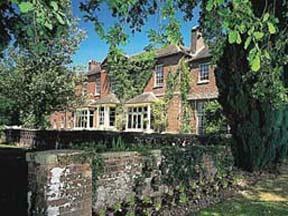 Visit renowned attractions such as Winchester Cathedral and the National Motor Museum at Beaulieu. At the Hilton Southampton, you're also in a handy location for a trip to the Isle of Wight, with its unspoilt scenery and exciting water sports. In Southampton itself, the West Quay shopping centre offers an enormous variety of retail therapy! Conveniently positioned just 1 mile from junction 6 of the M3, the hotel is within easy reach of many local attractions and the numerous Business Parks in Basingstoke. Situated on the Ring Road, opposite the North Hampshire Hospital, the hotel is easily accessible to the region's major roads and offers free parking for up to 200 cars. Furthermore, the hotel features a purpose-built conference and banqueting centre containing 15 meeting rooms, the largest of which caters for 200 people. All of these meeting rooms contain the latest in conferencing equipment. 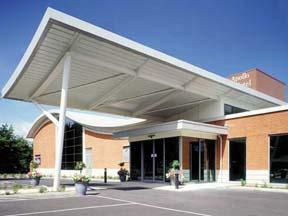 For those who wish to relax, the Apollo Hotel offers the impressive Horizons Health and Beauty facility. The centre has an indoor pool, a jacuzzi, a sauna, several beauty treatment rooms and a fully equipped gym. Just a few minutes' away from Southampton Airport and the M27 motorway, this modern, purpose-built hotel offers spacious, clean and comfortable rooms, with free on-site parking. Specially designed, Southampton Airport Premier Inn provides a friendly and welcoming environment, with good-quality accommodation at great-value rates. Each comfortable room features flat-screen digital TV (with Freeview), tea/coffee facilities, telephone and Wi-Fi internet access (additional cost), as well as a new air-cooling system. Easily accessible by road, this Premier Inn hotel is only a minutes' walk away from Southampton Airport. 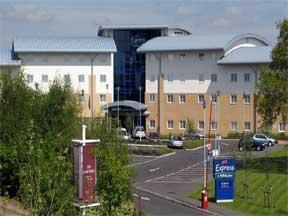 Eastleigh's business parks and the M27 motorway are also close by. Southampton Parkway railway station is within easy reach. A regular train service runs from Southampton Parkway to Southampton city centre. This charming 17th-century English pub/inn and restaurant offers a warm welcome to everyone, as well as varied home-cooked cuisine, fine wines and Fuller's award-winning ales. With 14 stylish, refurbished bedrooms, the inn offers modern-day comfort with a period ambience and features. 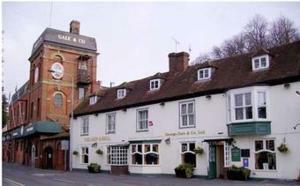 Close to Portsmouth, Chichester and many places of interest, the Ship & Bell is ideal for both business and pleasure. This traditional English country hotel with beamed ceilings, cask-conditioned ales and a friendly home-from-home atmosphere is just a short distance from the M3. Set in North East Hampshire, the Ely with its ivy-covered red brick walls and pantiled roof sits on the edge of Yateley and Blackwater, close to Sandhurst, Farnborough, Hook, Fleet and Camberley. On a fine evening you can enjoy a drink and al fresco dining in the attractive garden with patio and lawns; the ideal retreat for the summer months. Simply sit back and relax with a jug of Pimms and bring the whole family. A children's menu is available at all times and there is a play area in the garden. In chillier weather you can warm your toes in front of one of the many open fires in the bar area. This hotel is conveniently situated on the edge of the Meon Valley, between Portsmouth and Southampton, within easy access of the M27. Segensworth, Whiteley, Solent, Kites Croft, Cams Hall and Broadcut business parks are all quickly and easily accessible. In the recently refurbished restaurant, enjoy a warm and friendly atmosphere and a selection of daily chef's specials and traditional favourites, complimented by a choice of European and New World wines. Special dietary requests, vegetarian options and a children's menu are also available. Enjoy the Sunday lunch carvery and al fresco dining. The lounge and bar area is the ideal place to relax and meet friends, which serves snacks and drinks throughout the day and evening. In Southampton city centre, a few minutes' walk from West Quay Shopping Centre and Above Bar Street, the hotel offers comfortable rooms and some limited free parking. Premier Inn Southampton City Centre is less than 15 minutes' walk from Southampton Guildhall, the Mayflower Theatre and St Mary's Stadium, home of Southampton FC. The hotel has a 24-hour reception desk and some rooms can take 2 adults and up to 2 children (under 15 years). The 2 children also get a free full breakfast when accompanied by an adult eating a full breakfast. An all-you-can-eat buffet breakfast is available each morning and includes scrambled, fried, poached or boiled eggs, and pork or vegetarian sausages. There is also a wide continental selection. On the fifth floor, the Slice Restaurant offers good food and drink at great-value prices. The hotel also has a branch of Costa Coffee and a bar with Sky Sports. Located at the edge of the New Forest, overlooking the Isle of Wight and Solent, this 3-star hotel and resort is set within 23 acres of beautiful landscaped grounds. 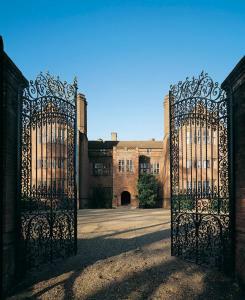 The Macdonald Elmers Court Hotel and Resort is situated within a magnificent Tudor gabled Manor House and Estate which dates back to the 1820's. Facilities at the hotel include a leisure club with indoor and outdoor swimming pools, gym and health and beauty spa. Private dining and conference suites are available for a range of functions. With a selection of well appointed bedrooms, including suites and family rooms, the hotel offers comfortable accommodation in a pleasant location. Set amid 8 acres of grounds, at the 'Gateway to the New Forest', this elegant listed building provides comfortable accommodation and delicious cuisine on the outskirts of Cadnam. Once a private hunting lodge, Bartley Lodge now offers a haven of relaxation, with beautiful landscaped gardens, an indoor leisure area with a small pool, mini gym and sauna. 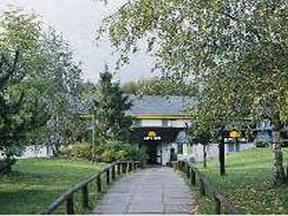 Also a popular venue for business events, Bartley Lodge is located just off junction one of the M27, making it very accessible to major road routes. Furthermore, the hotel can cater for up to 100 delegates and has 3 conference rooms. Potter's International Hotel has its rightful position as one of the most intimate and charming hotels between the towns of Aldershot, Fleet and Farnborough in Hampshire, England. We provide stylish accommodation for discerning guests with 101 en-Suite rooms, with many enjoying views across open fields and the army cricket ground. Our warm and friendly atmosphere plays host to many visitors every year from individual business travellers, families enjoying a weekend break and corporate events. This popular 4-star hotel is situated close to the centre of the historic cathedral city. 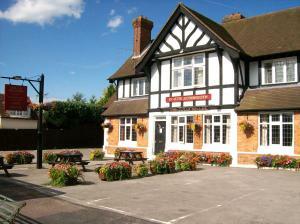 The hotel provides all of the facilities needed for the business and leisure traveller. This hotel offers a comfortable air-extraction gymnasium with fixed and free weights where qualified instructors will support and encourage. Relax in the indoor heated pool, sauna and steam room - the brand new Revive health club is now open. The Winchester Hotel operates a non-smoking policy. Portsmouth and Southsea's newest and most exciting small luxury hotel, this impressive Edwardian residence has been stylishly converted to offer 8 individually and professionally designed rooms. The Clarence is ideally situated just a few hundred yards from the seafront and close to all the major attractions, including the fantastic waterfront development of Gunwharf Quays, Spinnaker Tower and the world famous Historic Dockyard. Suited to both business and leisure travellers, both of Portsmouth's main train stations are just a 5 minute taxi journey away, and the nearest airport is a short car journey of 25 minutes (to Southampton). In the heart of Southampton, the recently refurbished White Star Tavern offers 4-star luxury guest accommodation, free Wi-Fi, a lounge, a sun deck and an AA-award-winning bar and restaurant. Located on Southampton's cosmopolitan Oxford Street, in the city's historic maritime district, the White Star Tavern has been completely renovated and returned to its former use as a hotel. There are now 13 en suite rooms, all individually designed and named after the ships of the White Star Line and the original J-Class America's Cup boats. The stylish and comfortable rooms feature king-size beds with soft Egyptian linen, stunning bathrooms with oversized showers, mini bars stocked with your favourite products and personal safes large enough for your laptop. Rooms come equipped with the latest technology, including free broadband Wi-Fi and 19-inch flat-screen TVs with Freeview digital channels. The White Star has received an AA Rosette for the outstanding preparation of its food and the good quality of the ingredients it uses. This beautifully preserved Victorian mansion is situated on the edge of the New Forest, 200 yards from the beach and with stunning views across the water to the Isle of Wight and the Needles. Westover Hall is a Grade II listed Victorian mansion with a magnificent oak-panelled interior, a minstrel's gallery and period furniture. Originally built in 1897 as a luxurious private residence, Westover Hall features a magnificent series of stained-glass windows and ceilings decorated in high relief. Today the hotel is family owned and run. The atmosphere is stylish and elegant, yet relaxed and welcoming Free parking is available for guests. Offering fine dining, exceptional cuisine and great service, the hotel's superb candlelit restaurant has received 2 AA Rosette awards for the outstanding preparation of its food and the good quality of the ingredients it uses. There are wonderful sea views across to the Isle of Wight and the Needles from the restaurant, the bar and the reading room on the first floor. 6 of the hotel's 15 luxurious rooms also have wonderful sea views. All of the rooms are individually styled and decorated with tasteful furnishings and their own unique charm. Luxurious extra touches include designer bed linen from Frette and toiletries and bathroom products from Molton Brown. Free wireless internet is available in the rooms. 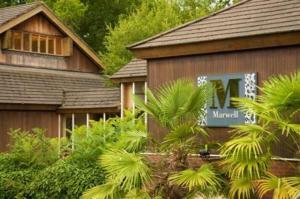 Nestled in the beautiful Hampshire countryside, opposite Marwell Zoological Park, this colonial-style hotel has a convenient location, only minutes from Winchester, Southampton and the New Forest. Just off junction 11 of the M3 motorway and only a short distance from junction 7 of the M27, the hotel offers great access to the regions major road network. Whether you are exploring the area for leisure or visiting on business, the hotels convenient location makes it a great base. Southampton Airport is only minutes away. All of the hotels 66 rooms are comfortable and en suite with bath and shower. Each room is well equipped, with satellite television and internet access, among the other facilities. The rooms overlook the surrounding gardens. The ZsaZsa leisure centre offers all hotel guests complimentary use of the swimming pool, sauna, jacuzzi and selection of exercise equipment. A range of beauty treatments are also available for those wishing to truly pamper themselves. The hotels golf centre, with two 18-hole golf courses, a driving range, a pro shop and the Greenside Bar and Restaurant is just 5 minutes away. 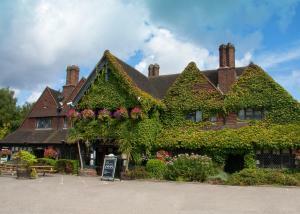 This hotel is 4 miles (6.4 km) from Southampton city centre and 1 mile (1.6 km) from junction 7 of the M27. It is next to the Rose Bowl and has free parking. At Holiday Inn Express Southampton there are en suite bedrooms, a licensed bar, a restaurant and 5 air-conditioned conference rooms with natural light. Conference lunches are also available Each bedroom has satellite channels/blockbuster movies, broadband and high-speed Wi-Fi, a hairdryer and courtesy tray. The lounge bar offers a warm, friendly welcome and the restaurant serves delicious meals from 18:00 to 22:00, Monday to Sunday. Residents can use the next-door Esporta Leisure facilities for a small fee. 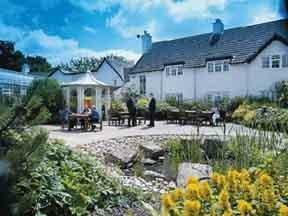 New Forest Country House hotel with great character, providing comfort along with warm, friendly service. 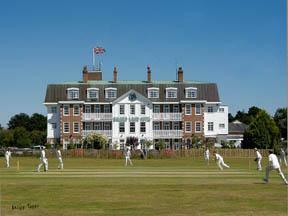 The Balmer Lawn is situated in the heart of the New Forest, an idyllic location. The area offers ageless beauty and tranquillity with unspoilt paths and walks where you can really appreciate the beauty of the New Forest. When visiting the Balmer Lawn you can delight in the Forest's changing colour, history and wildlife and in particular, enjoy the famous New Forest ponies and magnificent deer that still have the right of way as they freely graze the surrounding area, including the towns of Brockenhurst and Burley. Many activities can be enjoyed including, walking, cycling, mountain-biking etc. plus the hotel offers its own extensive leisure facilities, swimming, gym, squash and tennis. The hotel is independently owned and prides itself on offering a friendly atmosphere and excellent service to all its guests.